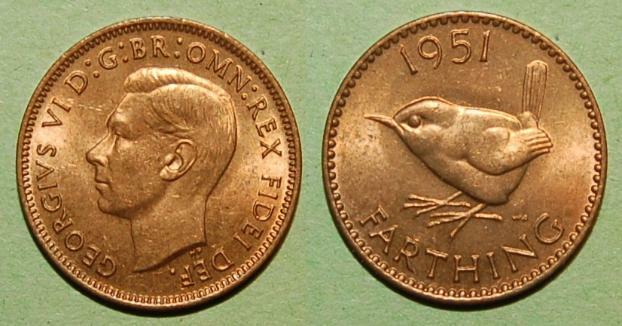 Farthing and it is by Sir Thomas Humphrey Pagent. by Harold Wilson Parker was chosen instead. They were produced in every year from 1937 to 1952. 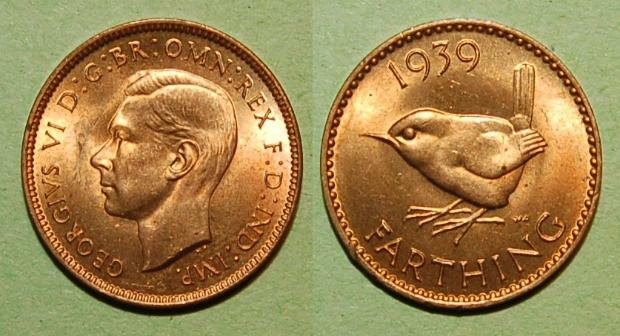 1937-1952 Bronze, 2.84 grams, 20mm Diameter.